As Robert Louis Stevenson said, “wine is a bottled poetry”; how much would you spare of your earnings to purchase some of the below mentioned in the list? Read on to know more about some of the oldest, rarest and expensive wines and what they cost. 1. Massandra’s Sherry de la Frontera 1775 is a 239 year old wine, the oldest to feature on this list. It is also the oldest bottle of sherry to be sold. A Single bottle was sold at a 2001 Sotheby’s auction in London for $43,500. The Massandra Winery in Ukraine is known for its large collection of more than a million vintage wines. 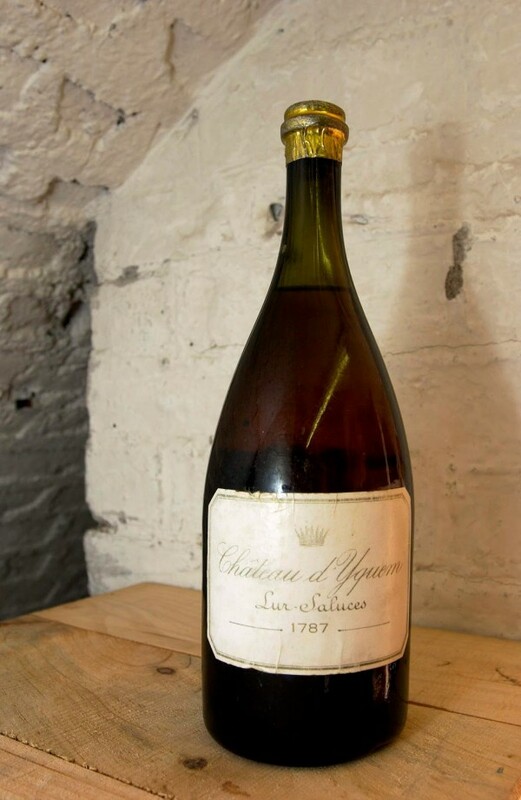 2.1787 Chateau d’Yquem A rare bottle of 1787 Chateau d’Yquem was sold for $100,000. At the time it was hailed as the most expensive white wine in the world. Chateau d’Yquem is also considered one of the sweetest wines of the world and is a produce of France. 3. Chateau Mouton Rothschild 1945 In 1997 a bottle of Chateau Mouton Rothschild 1945, considered one of the great vintages of the last century was sold in London for $114,614. This was bottled at the end of the World War II and the 1945 vintage label is known for its “V” for victory. 4. Chateau d’Yquem 1811 A 200-year-old bottle of Chateau d’Yquem 1811 was sold for $117,000 in 2011, making it the most expensive bottle of white wine in the world. The bottle was displayed behind a bullet proof glass at the Sip Sunset Grill restaurant, which he owned. Only 10 bottles of the 1811 vintage is believed to exist worldwide. 5. 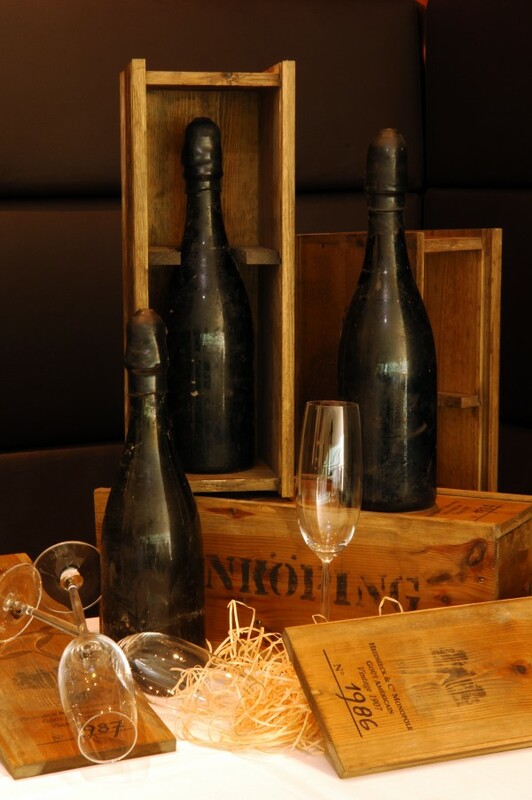 Romanée Conti 1945 was produced during WWII -- before the outbreak of phylloxera and only 600 bottles were created. The bottle was purchased be an American collector for $123,900. Penfolds winery of Australia produced its most expensive wine recently, known as "2004 Block 42," The wine is entirely enclosed in glass. There are only 12 limited editions of the glass ampoule and if you're one of the lucky purchasers, you would get an exclusive opening ceremony. In 1989 New York wine merchant, William Sokolin, valued a 1987 bottle of Château Margaux, also from Thomas Jefferson’s collection, at $500,000. The bottle broke when it was accidentally knocked down by the waiter at the restaurant at Four Seasons, where he had taken it for dinner and had received an insurance claim of $225,000, making it the most expensive bottle never sold. In 1998, 2,000 bottles of 1907 Heidsieck Champagne were salvaged from a ship which had been torpedoed by German sub during World War I. The ship was originally destined for the Imperial Court of Tsar Nicholas II of Russia, who had commissioned a Swedish freighter to deliver wine and the 1907 Heidsieck Champagne, before it was struck by a German submarine in 1916. Its cargo remained at the bottom of the sea for some 80 years before it was salvaged off the cost of Finland in 1998. Since then the bottles have been sold at various auctions around the world for their historic value selling for $275,000 each. The most expensive bottle of wine ever sold at an auction is the Imperial bottle of 1947 Chateau Cheval Blanc. This was sold at $304,375. The now 67-year-old bottle is the only known bottle in the Imperial format from this particular Saint-Emilion vintage. In 2000 a six-litre bottle of Screaming Eagle Cabernet currently holds the title of most expensive bottle of wine ever sold. It went under the hammer at a charity wine auction in Napa for the staggering sum of $500,000. Now this is some money that is paid for these wines, truly collectors’ pieces. What are some other wines that you have come across?